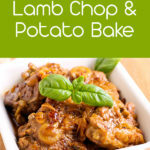 Stunning Lamb Chop and Potato BakeGuaranteed to satisfy! Lamb isn’t always the cheapest meat on the market (ok, it pretty much never is) but that doesn’t mean we don’t like to treat ourselves every once and a while. 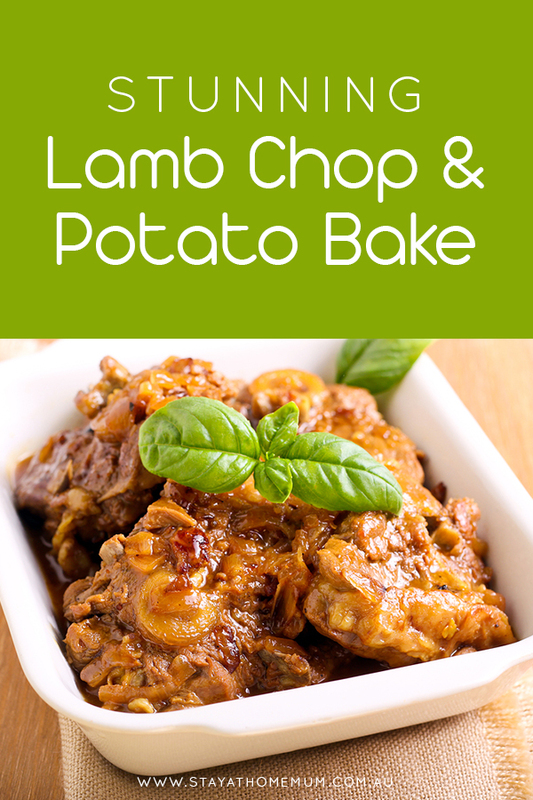 This Stunning Lamb Chop and Potato Bake dish is one that both adults and kids will love, a perfect wholesome dinner that’s guaranteed to satisfy. Get your oven ready by preheating it at 200°C (or 180°C if fan-forced). In a medium bowl mix together the worcestershire sauce, tomato paste, mustard, garlic and water. Set aside and prepare a baking dish that will fit all of your lamb chops in a single layer. Coat the lamb in flour, shaking to get rid of lumps and excess. Cut the onions into slices about 1/2cm thick, and cut the potatoes into thin slices. Arrange the onion on the bottom of the baking dish. Then, lay the lamb chops on top of the onion, and cover with the sliced potatoes. Carefully pour the sauce mix you prepared earlier over the dish, spooning if you must to allow for an even coating. Cover the dish with foil, pinching tightly in corners, and back in preheated over for 30 minutes. After 30 minutes remove the foil and baste the potatoes and lamb chops with the sauce. Then cover again and bake for a following 20 minutes. Take the foil off the dish and baste again before putting the dish back in the oven uncovered to bake for another 20 minutes or until the potatoes are properly browned and the lamb is tender to your preference.